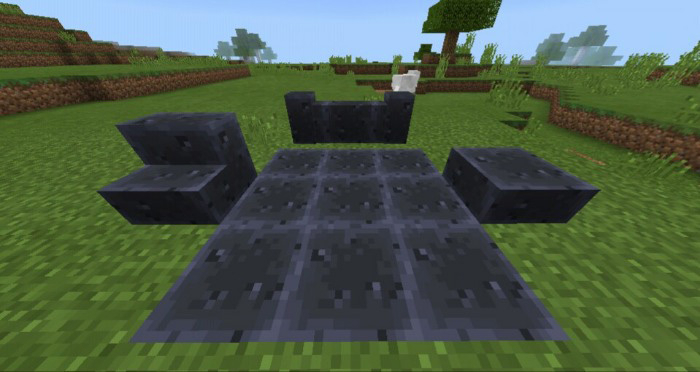 We are glad to present you an excellent package of textures Basalt and Flintstone for Minecraft, which will replace the mossy stone bricks and mossy cobblestones on basalt and silicon! Yes, from these materials you can get stairs, slabs and walls. As soon as it becomes possible to add new blocks to the game without replacing the old ones, this package for Minecraft Bedrock will be updated. 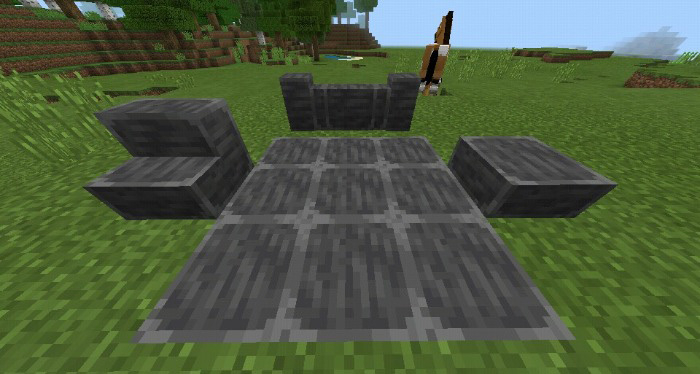 Since these blocks replace existing versions of stones, they can be easily created in the Minecraft Bedrock survival mode. Basalt can be obtained from vines and stone bricks. This textures is not recommend for older builds, and you should use this textures for a new world. This textures may work with 1.7 versions and below, it’s recommended to use it on 1.9 since you’ll lose out slabs, stairs and walls. Flintstone uses the upcoming blast furnace’s top texture, and basalt uses the upcoming smithing table’s top texture.